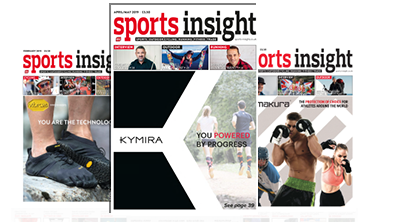 Sports Insight comprises a sector-leading magazine, website, social media presence, enewsletter, wall planner, annual sports, outdoor and cycling handbook as well as direct and print marketing services. Covering the UK, EMEA and ROW. 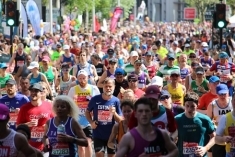 Aimed at the sports, outdoor, cycling, running and fitness market, they provide their readers with the latest news, products, market research and special features, as well as exclusive comment from leading industry figures and organisations. Sports Insight has a certified abc circulation of 5,295 (the only ABCed sports trade magazine in the UK and ROI). Please review below testimonials from clients that have used www.sports-insight.co.uk and how it has worked for them. I wanted to thank you for your advice and guidance in regards to the Trade Counter feature through Sports Insight. We recently used this platform to launch and inform your members of our our latest mouthguard range. As a direct result of this feature being emailed to your extensive database, and featuring on the Sports Insight website we have managed to break into one of the largest regional retailers in Scotland and expand our range with several other key accounts. With the launch of the new Samurai Sportswear retail range we needed a dedicated channel to get the message out to the independent sports retail trade. Sports Insight has provided us with really flexible solutions to meet our requirements, and allowed us to build a coordinated plan of printed advertising supported by digital and email activity. The visibility that this campaign activity has provided us has generated significant interest in the new products, and converted both into leads and orders. Sports Insight has a certified abc circulation of 5,281 (the only ABCed sports trade magazine in the UK and ROI).